The Society is a nonprofit organization governed by a Board of Directors. 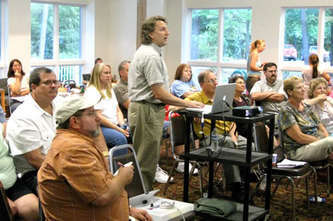 The Society is the oldest mineralogical and lapidary organization in Virginia. Celebrating over 60 years of fun, the first meeting was held on September 23, 1954. 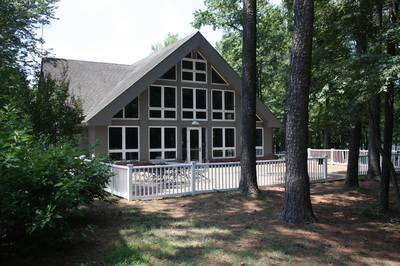 Our meetings are held at Sandy Bottom Nature Park, in the Nature Center Conference Room, in Hampton, VA. We meet the first Thursday of each month at 7pm, but sometimes this changes. Please check the Events page for actual dates and times. Visitors are welcome to our meetings. 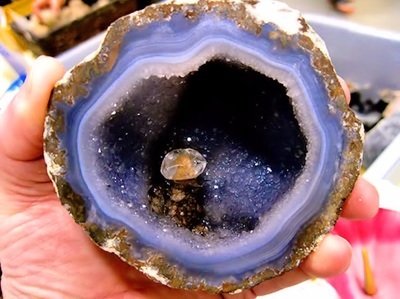 We sell Geodes at the Tote shows to raise money for club expenses. To contact a board member check out our Contacts Page! ​Read about our GMSVP Awards on our​ Announcement Page! For additional information and pictures, visit us on Facebook or Click Here . Or you can do a search for 'Gem and Mineral Society of the Virginia Peninsula' once you log into your Facebook account. of Mineralogical and Lapidary Societies, Inc. (EFMLS) regional organization. In 2015 our club joined the Southeast Federation of Mineralogical Societies, Inc. (SFMS). As a member, our club has access to the resources provided by these organizations.